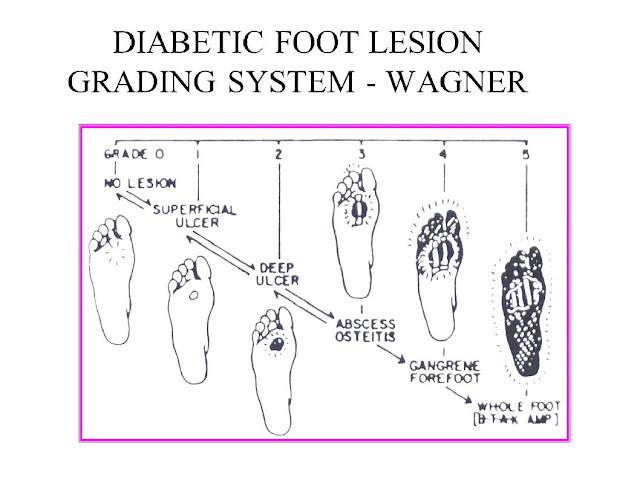 What are various types of Diabetic feet? 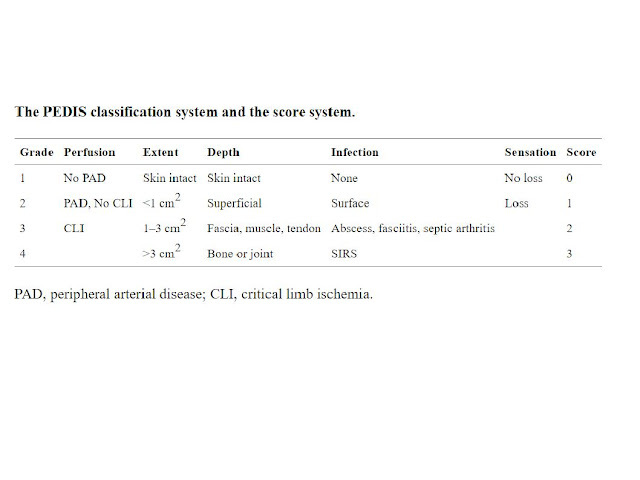 Neuropathic Foot: Neuropathy dominates. Fissures, bullae, neuropathic joints and edema, digital necrosis. Neuroischemic Foot: Occlusive vascular disease main factor while neuropathy is also present. 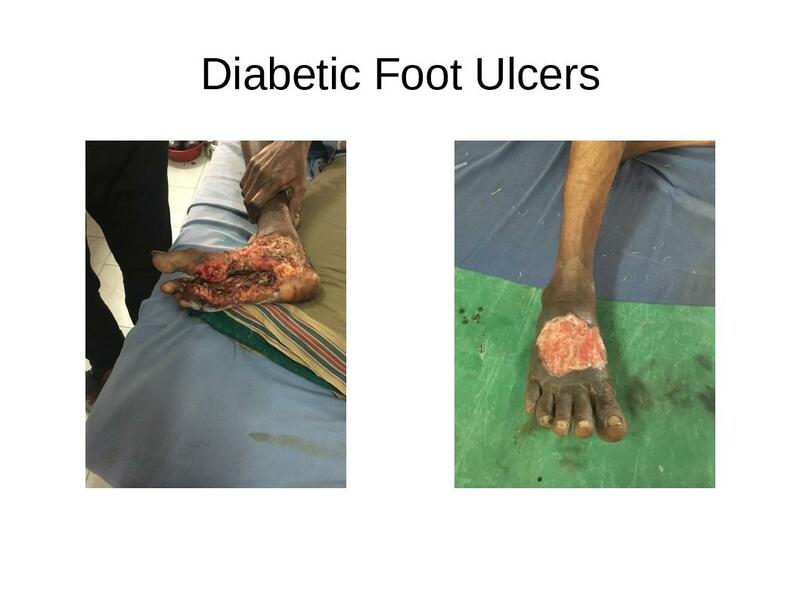 Rest pain, foot margin ulceration, digital necrosis and gangrene. 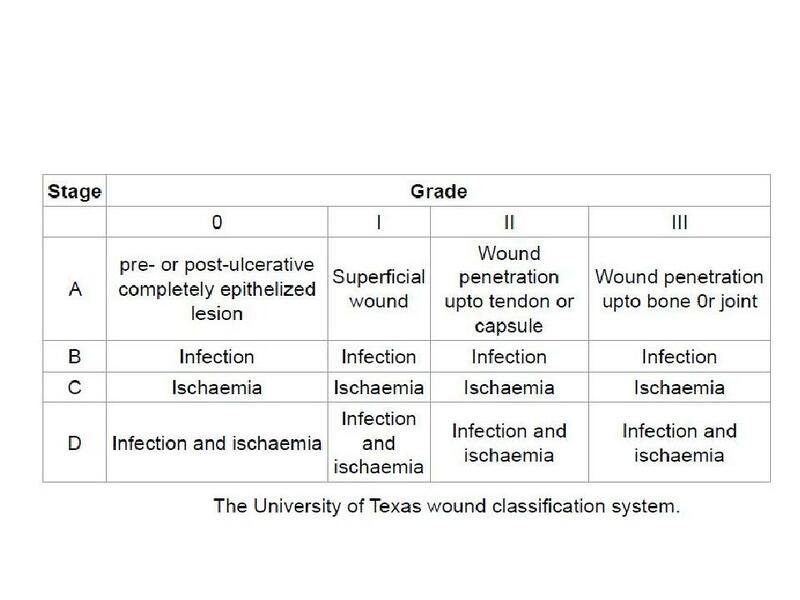 What are various systems of grading of a diabetic foot?